Understanding what we in pharma can and cannot post about on social media is central to any strategy. In our industry, we must adhere to various and particularly stringent compliance guidelines when marketing and communicating. We have various do’s and don’ts from a range of different food and medicinal health agencies regarding marketing communications of OTC products and almost a complete ban on unlicensed medicinal products and those undergoing clinical trials. Most of the guidelines refer to prescription medicine. Once we understand what we can and cannot say about those, we can develop a strategy to ethically share information about them, ensuring we are compliant. Moreover, there is more to social media and pharma than prescription medicines. Various compliance guidelines exist, and below is my summary of their do’s and don’ts. You may be thinking that there are grey areas that can be exploited, but that would mean risking litigation. For me, it is black and white, the rules are there, so we follow them and create social media posts and campaigns that meet compliance guidelines, company objectives and most importantly, build the brand. The association of the British pharmaceutical industry (ABPI) is the trade association for over 120 biopharmaceutical companies in the UK producing prescription medicines for humans, supplying 80% of the medicines prescribed through the National Health Service (NHS). According to the ABPI code (clause 1.2), promotion is any activity undertaken by a pharmaceutical company or with its authority which promotes the administration, consumption, prescription, purchase, recommendation, sale, supply or use of its medicines1. Companies cannot promote prescription-only medicines and those which haven’t received marketing authorisation to the public; but facts may be shared. Consequently, the ABPI differentiates between proactive information which is pushed at the recipients (e.g. adverts in journals) reference information and reactive information which is supplied to the public in response to a direct request. Furthermore, the company must disclose the sponsoring of any material. Companies must also record all adverse events and product complaint data, which may be reported to the medicines and healthcare products regulatory agency (MHRA) if appropriate. The ABPI guidance notes on the management of adverse events and product complaints from social media activities by companies fall into three broad categories of listening, broadcasting and engaging1. Listening involves monitoring social media sites, to allow a company to ‘listen to’ or ‘see’ what the public is discussing, saying or sharing about the company, the diseases and conditions it treats, and the treatment options. Broadcasting involves companies initiating one-way communication to share messages with the public, where interactive dialogue is not permitted or practical. Engaging involves exchanging and participating in interactive communication with the public. All three can be performed on company sponsored or non-company sponsored websites, the company must always declare its presence, and must monitor the entire content on an ongoing basis, especially for adverse events and product complaints. The prescription medicines code of practice authority (PMCPA) was established by the ABPI to operate the ABPI code of practice for the pharmaceutical industry, independently of the ABPI. The PMCPA sets out various do’s and don’ts for digital communications in accordance with the ABPI Code2. All communication with healthcare professionals over social media about prescription medicines is very likely to be seen as promotion. Pharma companies can promote their medicines to healthcare professionals but the ABPI code will apply. However, this is on the strict proviso that the audience be restricted only to healthcare professionals in the case of prescription medicines, that the audience agreed to receive information and adhered to character limits, such as those on Twitter. Pharma companies cannot alert healthcare professionals over social media about the publication of a study on a medicine because it is likely to be considered promotion of that medicine. However, pharma companies can use social media to provide information to the public, providing the material complies with the ABPI code. The food and drug administration (FDA) is the federal agency of the United States Department of health and human services which is responsible for protecting and promoting public health through the control and supervision of prescription and OTC pharmaceutical drugs (medications), vaccines, biopharmaceuticals, and medical devices. The FDA social media guidelines have various requirements. Any product promotion should include the trade and generic name alongside the recommended dose to be used in any communication3. All benefit and risk information must also be presented along with a link to further risk-benefit information, whilst respecting the character limitations of social media platforms, e.g. Twitter. Only in the US can pharma companies produce content about products direct to the consumer. Outside of the US, pharma can talk about disease awareness, but not product. The FDA has guidelines for responding to unsolicited requests for off-label information about prescription drugs and medical devices4. When responding to a non-public unsolicited request for off‑label information about its product, specifically directed to the company privately through a one‑on‑one communication, the information distributed should be provided only to the individual making the request directly. It should be tailored to answer only the specific question(s) asked, be accurate, balanced and truthful, scientific in nature, and as the ABPI code, generated by medical or scientific personnel independent from sales or marketing departments. Information distributed in response to an unsolicited request must be accompanied by a copy of the FDA labelling for that product and statements about what it is and isn’t approved for, complete with safety information and references used in the response. The company is also required to maintain records for the nature of the request for information, including the name, address, and affiliation of the requestor, records regarding the information provided to the requestor, and any follow-up inquiries or questions from the requestor. The FDA also has recommendations to companies that choose to respond to public unsolicited requests for off-label information about its product(s), including those encountered through emerging electronic media. Companies must respond about its own named products only, no off‑label information is to be provided, information must not be promotional in nature or tone, and representatives who respond should clearly disclose their involvement with a particular company. The FDA has set out criteria fulfilling regulatory requirements for post marketing submissions of interactive promotional media for prescription human and animal drugs and biologics5. A company is responsible for product promotional communications on websites that are owned, controlled, created, influenced, or operated by, or on behalf of, the company; under certain circumstances, this extends to promotions on third-party sites. A company is responsible for the content generated by an employee or agent acting on behalf of the company to promote its product. The FDA has guidance regarding the correction of misinformation about prescription drugs and medical devices on social media coming from independent third-parties. The company’s communication should be relevant, responsive, limited, tailored, accurate, and non‑promotional in nature, tone, and presentation to the misinformation. The company’s communication must be consistent with the FDA-required labelling for the product, and be supported by sufficient evidence, including substantial evidence, when appropriate, for prescription drugs. The company’s communication must be posted in conjunction with the misinformation in the same area or forum. The company must also disclose that the person providing the corrective information is affiliated with the company that manufactures, packs, or distributes the product6. 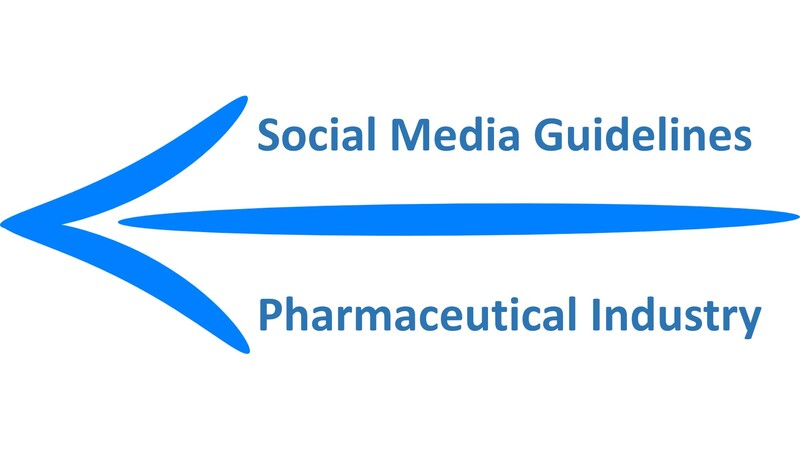 If you would like to learn more about the social media guidelines pharma has to follow, and how we can help you ensure you adhere to them, please do get in touch!